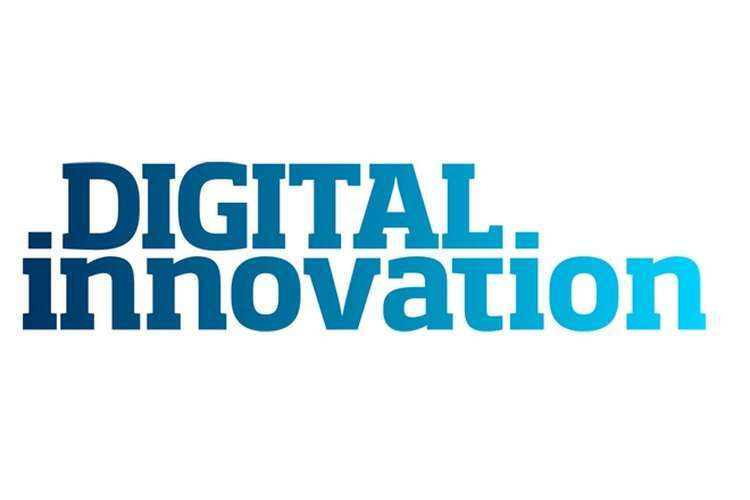 This digital innovation assignment help is aiming to demonstrate the understanding of the implementation aspects of digital innovation in a selected organization. In this assignment problems which are identified in the first assignment would be highlighted and solutions for the same would be offered. First problem which was identified in the assignment is security of the information and data with increasing usage of digital approach. Cost of implementation and its benefits are another area where due consideration is needed before adopting digital innovation. Another issue which was identified in this case is the cost of adopting digital technology and replacing entire existing system with digital technology and ensuring that transition is a smooth transition (Pike, 2004). Most of the companies who are interested in adopting digital technology for the first time are unsure about the security of their information, data exchange and they are also unsure about the ability of their employees to use this technology effectively. It is often observed that there is a lack of training and awareness about technology among first time users and implementers and they need to be in alignment with the changes to support it. First step towards this problem is to make each and every one understand the importance of change and the benefits associated with implementation of new digital systems with proper security measures. For example in companies like Wolftech energy limited security of the data exchanged is very important and information which is critical for the company like purchasing agreements, selling of power, tariff revisions and sourcing of employees etc should be protected. First approach towards security of the system is to develop a secure log in and log out management (Taylor, 2010). Login id and passwords are a conventional measure which is highly prone to hacking and unsecured log in. In order to reduce this infiltration bio metric access and security check is the advanced and acceptable solution. These bio metric access systems would scan finger prints and even iris or retina scans for critical data access. This way its hacking and proxy access would be very difficult for an infiltrator. It is also observed that security of system can be heightened by education its users and informing them about weak areas and points of concern. For example disabling access to the system from remote location and sending an alert message to the CIO if something sounds suspicious to them can act as a first line of defence. Storing passwords in e emails and sharing them with others are some practices which can prohibited by creating awareness (Carberry, 2001). Compartmentalized access is another approach which can be used for security of the digital systems. Compartmentalized access means each employee would have access to the information which is relevant to them and belong to their level in the hierarchy. For example a junior level employee would be able to access the e mails of department but they would not have access to view proposals and tenders which are bided by the company. It is a level of clearance which is way above them and probably department heads and above level employees can view and modify them. Cost of adopting a new system and integrating it with an existing system is very high and it might take some consideration by the company on both cost and benefit of the digital innovation. Initial implementation of digital systems and innovative technology is a very costly affair because there would be cost associated with purchasing of hardware and their installation, purchasing of software needed for the system upgrading and transferring the manual work into a online system and then there would be cost of training and development of skills among employees who are not skilled enough to use the system easily. There is one more cost associated with implementation of system, which is cost of integrating the new system with the existing legacy system and ensuring their compatibility. Sometimes cost of implementation is so high that it deters a lot of companies and they prefer to go by the existing system even if it is inefficient and slow. In order to reduce this cost a proper auditing of the existing system can be done and areas where replacement won’t be necessary should be identified so that most of the existing infrastructure and systems can be used. Secondly when integration and upgrading is done it should be done with the commercially available software rather than customised solution. This would help in reducing the cost and also increasing scalability of the system in future. Financial projections regarding savings made by implementing this system in future years can also act as a motivator because maintenance and running cost of these system is very low as compared to their initial cost (Phaal, 2005). Cost benefit would also include the savings made on administrative cost of company which would ease out because of proper data management and clearing of backlog. There would be a reduction in number of human resources needed by the company for their administrative and paper work by using advanced digital communication approaches. Reduction in overhead cost like file management, cost of stationary and cost of delay in clearances etc are some more areas which might not sound that important, but in long run they can make a huge impact on the profitability of the firm. Implementation analysis should also include handover of technology to the company and developing in house experts who could take over the system and learn its nuances for future usage and training of new employees (Meyer & DeTore, 2001). In conclusion it can be said that development and integration of a new and advanced digital system in companies like Wolftech would help them a lot in managing their affairs, reducing the time and man power needed in each activity and most importantly it would smoothen the process of data exchange and communication. Implementation of digital technology in day to day activity of company these days is not a trend, but it is a requirement which cannot be ignored in pre text of cost and complexity. Taylor, A., 2010. The Next Generation: Technology Adoption and Integration Through Internal Competition in New Product Development. Organization Science, 21, pp.23–41. Carberry, S., 2001 Techniques for plan recognition.User Modeling and User-Adapted Interaction, 11, pp.31–48. Meyer, M.H. & DeTore, A., 2001. Perspective: Creating a platform-based approach for developing new services. Journal of Product Innovation Management, 18, pp.188–204. Phaal, R., 2005. Developing a technology road mapping system. In Portland International Conference on Management of Engineering and Technology. pp. 99–111.